Growing usage in adhesives, coatings, inks, toner, lubricants, leather treatment products, polishes, waxes, and other products is driving the market growth. Rising demand from the petroleum industry owing to gasoline additive is contributing the market growth. The latest report by Value Market Research expects the Global 1,2,4- Trimethylbenzene Market to reach USD 705.5 million by 2024. It was valued USD 545.0 billion in 2017. The report foresees a 3.8% CAGR from 2018 to 2024. In 2018, Trimellitic Anhydride (TMA) led the segment by accounting highest market share. Growing demand from paints and coating industry for the production of surface coatings, inks, dyes, polyimide paint, high-grade polyurethane paint, etc. is driving the segment growth. Apart from thi, use of 1,2,4 TMA in pharmaceutical and agrochemical sector is pushing the segment demand. Geographically, Asia Pacific led the market in 2018 owing to high demand for paints and coating. Growing construction activities, especially in developing countries such as China and India coupled with rise in adoption of new resins, coating and formulation, is also pushing the market growth high. 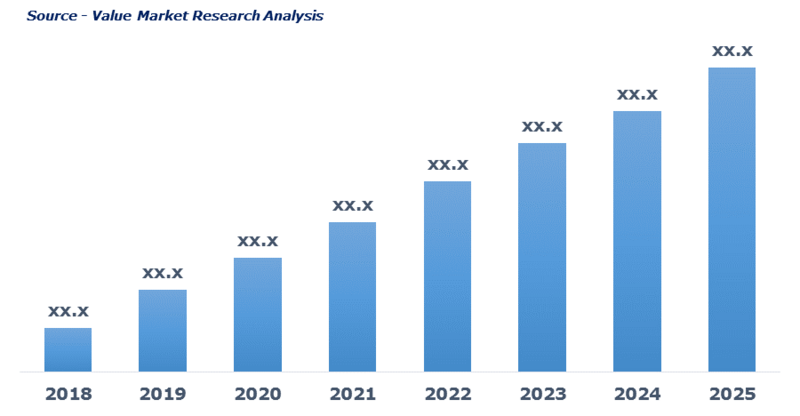 As per this study, the Global 1,2,4-Trimethylbenezene Market was valued USD 545.0 MN (by revenue) in 2018 and is anticipated to reach USD 705.5 MN by 2025 with a CAGR of 3.8%. 1,2,4-trimethylbenezene (TMB) also known as pseudocumene is a flammable, colorless liquid with a strong scent. Naturally, it is found in coal tar and petroleum. 1,2,4-trimethylbenezene is nearly insoluble in water but is soluble in organic solvents such as ethanol, diethyl ether and benzene. It is used as gasoline additive, paint, and lacquer thinner, and also used in producing dyes and some prescribed drugs. Rising demand from pharmaceutical, paints and coating, oil and gas and other end-use industries is driving the market growth. Use of 1,2,4-trimethylbenezene as a solvent in the production of cleaners, coating, inks, and printing industry is boosting its demand. Rising demand of 1,2,4-trimethylbenzne especially from the petroleum industry to improve the performance of gasoline is another factor fueling the market growth. This detailed market study is centered on the data obtained from multiple sources and is analyzed using numerous tools including porter’s five forces analysis, market attractiveness analysis, and value chain analysis. These tools are employed to gain insights of the potential value of the market facilitating the business strategists with the latest growth opportunities. Additionally, these tools also provide a detailed analysis of each application/product segment in the global market of 1,2,4-trimethylbenezene. The broad 1,2,4-trimethylbenezene market has been sub-grouped into an application. The report studies these subsets with respect to the geographical segmentation. The strategists can gain a detailed insight and devise appropriate strategies to target specific market. This detail will lead to a focused approach leading to identification of better opportunities. Furthermore, the report comprises of the geographical segmentation which mainly focuses on current and forecast demand for 1,2,4-trimethylbenezene in North America, Europe, Asia Pacific, Latin America, and Middle East & Africa. The report further focuses on demand for individual application segments in all the regions. The report also covers detailed competitive landscape including company profiles of key players operating in the global market. The key players in the 1,2,4-trimethylbenezene market include AKW Group, Alfa Aesar, DHC Solvent Chemie GmbH, Flint Hills Resources, Jiangsu Hualun Chemical Industry Co., Ltd, Jiangsu Zhengdan Chemical Industry Co., Ltd., Nanjing Juji Petrochemical Limited and SIMAGCHEM. An in-depth view of the competitive outlook includes future capacities, key mergers & acquisitions, financial overview, partnerships, collaborations, new product launches, new product developments and other developments with information in terms of H.Q. Jiangsu Zhengdan Chemical Industry Co., Ltd.